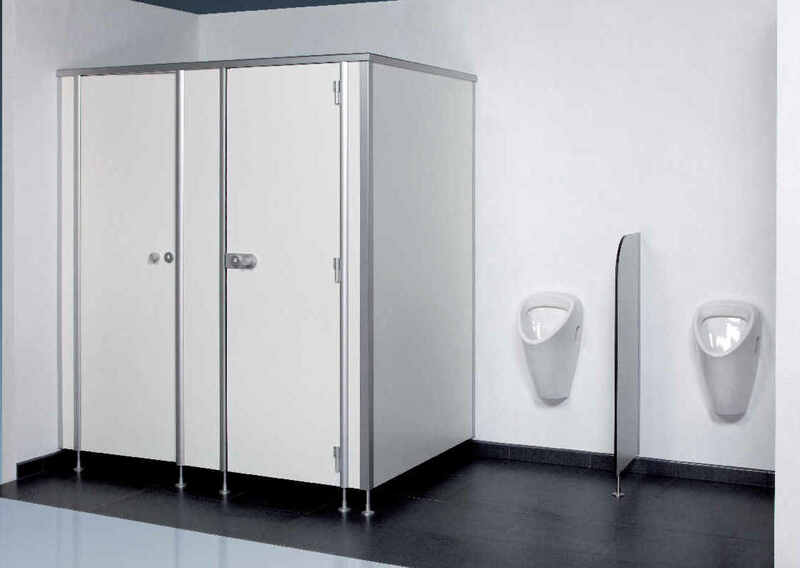 Sanitary partitions for dry areas. The greatest advantages of Elmaplan sanitary partition walls are timeless appearance, stability, durability and variability. Furthermore, this most commonly used system is characterized by the quality of its processing, detailed precision. 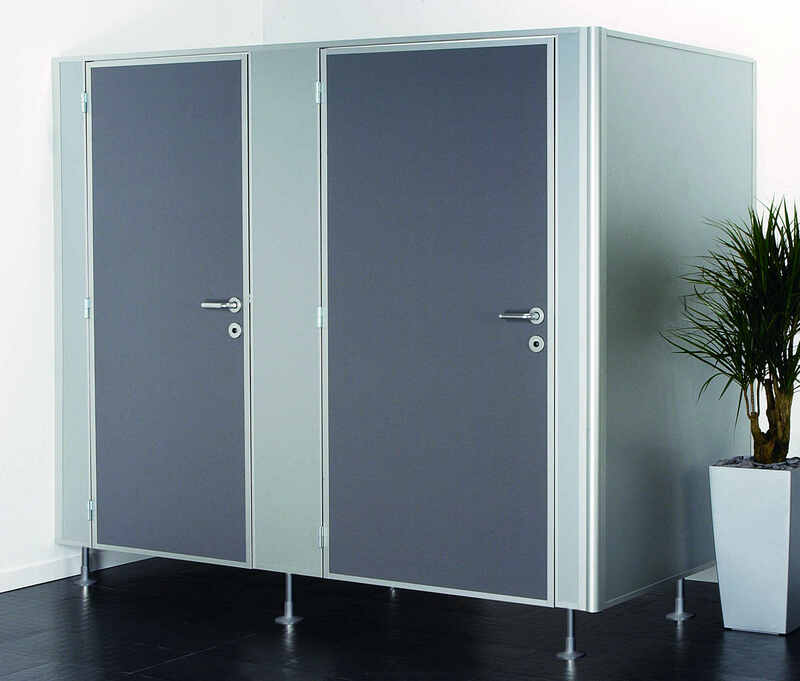 The system is suitable for toilet cubicles, massage cabinets, changing cubicles, diving walls, tannig studios etc. 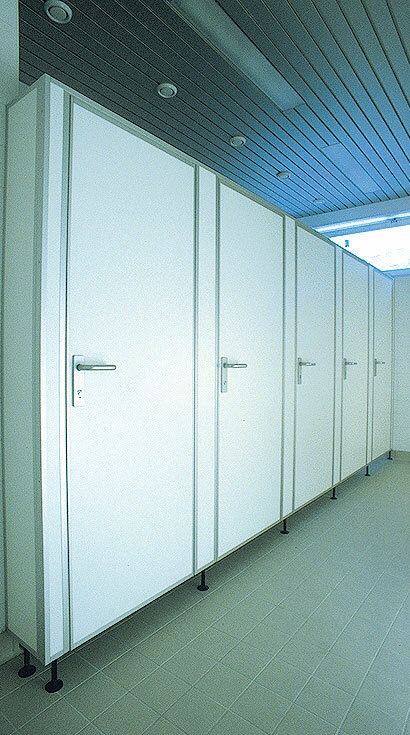 Partition walls are made of 32 mm thick, highly impermeable chipboards. ALU 32 - boards are on all sides bordered with aluminium profiles. Excellent resistance to mechanical wear. Available in optional board colors. ASB 32 - visually cleaner in design with minimum of aluminium profiles. Available in optional board colors. 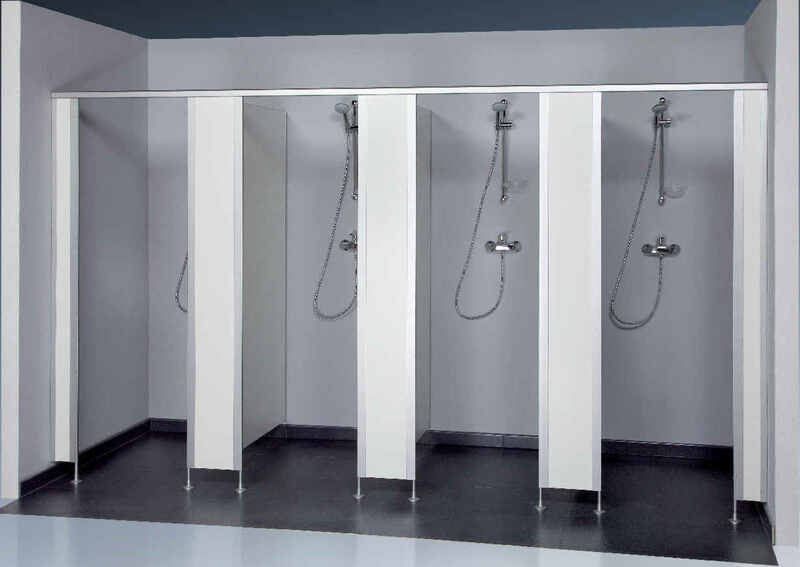 Doors are hinged on stanless steel hinges and are supplied with lock sets in choice of plastic or aluminium as standard, alternatively in stainless stell as an extra, i.e. 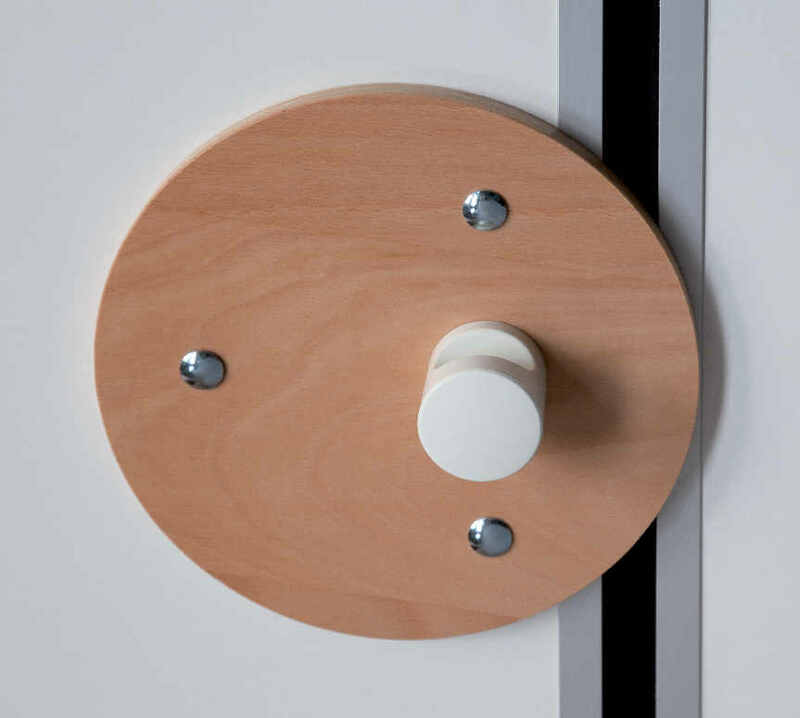 lock, lever, rosette with free/occupied indicator and emergency opening. We also offer a nursery school system, i.e. 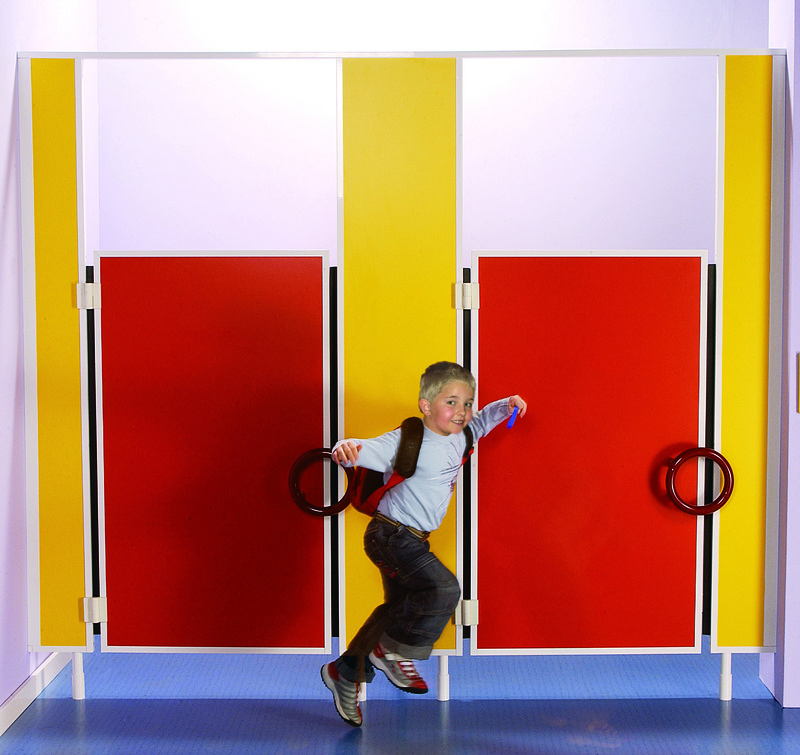 a version with 1400 mm high doors ( overall height remains 2050 mm) fitted with a childrenes circular door handel, spring-actuated hinges and soft brush inner-door finger protector system. 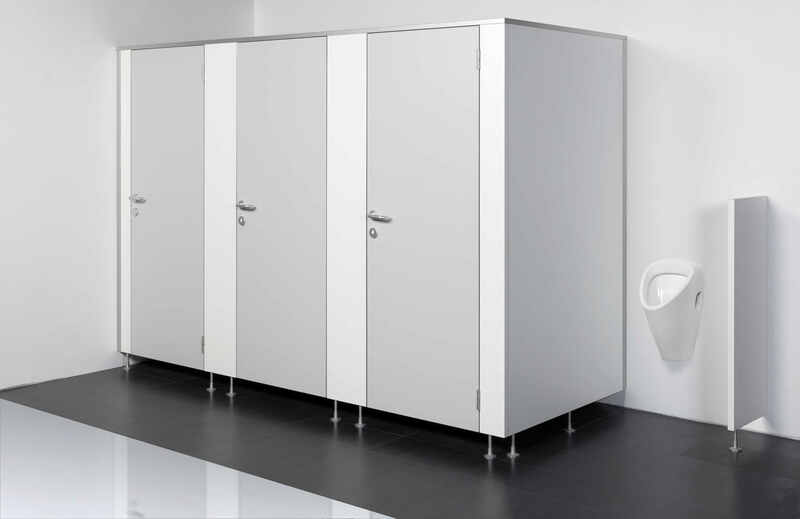 The sanitary partition system Elmaplan CP13 is a design system that utilizes high-pressure laminate panels, sometimes known as compact or HPL, which are coated on both sides with melamine foil. 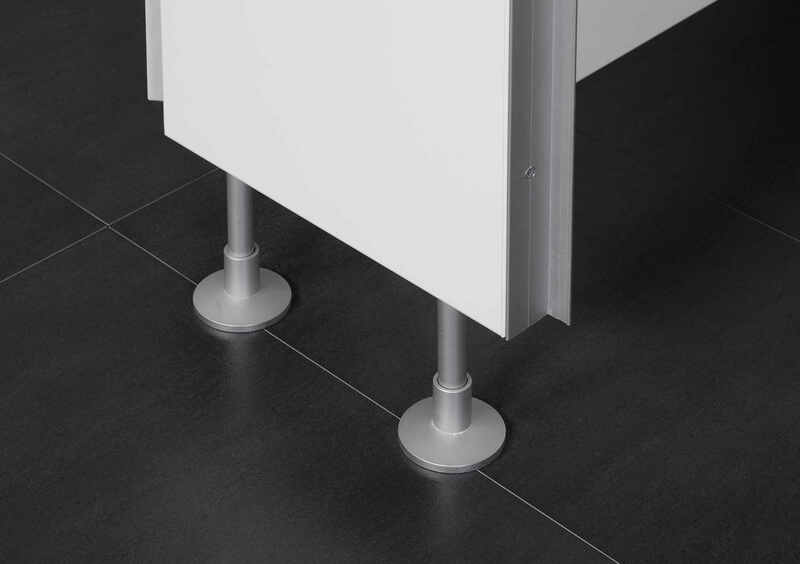 CP13 - solid walls of 13 mm thickness are fitted with U-shaped nodized aluminium section and connected horizontally at the top with an elegant crossbar reinforcement section. Excellent resistance to mechanical wear. Available in optional board colors. WF32 - boards 32 mm thick with extruded polystyrene. Excellent resistance to mechanical wear. Available in optional board colors. 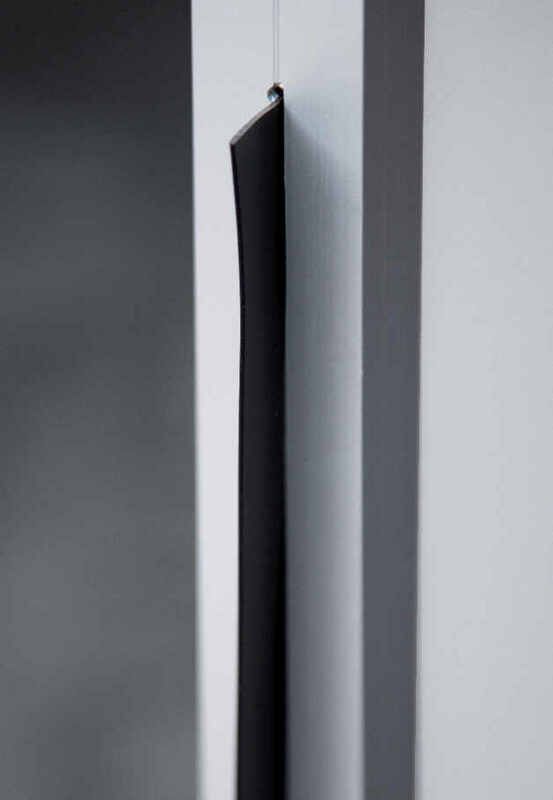 The whole system of walls comes standard with a total height 2050 mm, with panels in light grey ( U 708) and white (W980). Upon request and for a surcharge, we can also supply other heights and different colour panels. The biggest advantage of this system its versatility of use . It can be used both in damp or even wet areas.